Lo sci perfetto o le vacanze estive. Lussuoso, spazioso, tre camere da letto residenza situata alla base del Monte Blackcomb a Whistler. Sci a 100 metri dagli impianti di risalita. La nostra residenza cittadina a tre camere da letto si trova in una zona tranquilla e panoramica della montagna. Pavimenti riscaldati in ardesia, ripiani in granito e una vasca idromassaggio privata appartata per rilassarsi dopo una splendida giornata di sci / snowboard o giochi all'aperto. Abbiamo wireless gratuito ad alta velocità, 3 TV, DVD, PVR e Bose iPod stereo. C'è un camino a legna, lavatrice e asciugatrice, barbecue Weber e una cucina ben attrezzata con tutto il necessario. Ci sono 2 ponti esterni. Uno è arredato con 2 comode sedie / tavolino per rilassarsi e leggere. L'altro ponte inferiore ha un tavolo all'aperto 4 sedie / ombrellone per i pasti estivi. Ci sono 3 camere da letto distribuite su 2 livelli. Il maestro ha una regina, la seconda camera ha 2 regine e la terza camera ha 2 gemelli e una culla. Questa residenza di città è a 5 minuti a piedi dalle piste da sci ea 10 minuti a piedi dal villaggio. Nessuna macchina è necessaria. C'è una fermata della navetta gratuita proprio di fronte alla casa che passa ogni 10 minuti. Una casa speciale per ospiti speciali. Docce, pavimenti in ardesia riscaldato, granito. 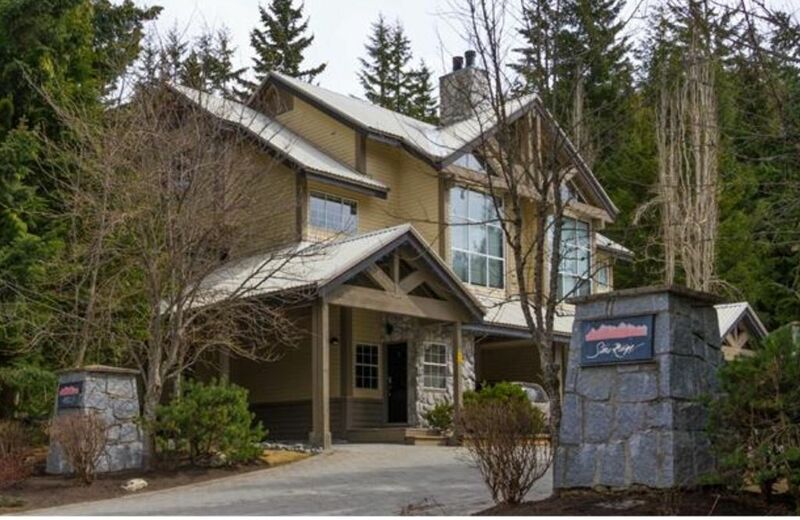 This was our first time visiting Whistler and it was Amazing, the townhome was perfect, Karen was very accommodating and great to work with. The place is just as you see it in the pictures and what a beautiful location. We will be back and we will stay a same location. Perfect getaway!! Well maintained and provisioned townhouse. Great location. Six of us tucked into Karen's place for a November weekend and we all loved our experience. The hot tub was well used and much appreciated as was the fireplace. We also appreciated the little nook upstairs for the young folks to tuck into in the later evening. Everyone slept SO well in the comfortable beds and appreciated the quality of the pillows and comforters. The kitchen is so well appointed - beautiful granite counters, sharp knives, all the pots/pans needed to put together a feast for a group. And as it was a very chilly weekend, everyone loved the heated floors! The location is also ideal - easy access to trails, close to all the action but far enough away to not hear any noise. The unit is on the corner and we barely heard a peep from the neighbours. Karen is an amazing host and I would return for another stay in a heartbeat!! It was tough to leave! Wow! Awesome accommodations - clean, spacious, modern and full of amenities. Clean, modern, awesome location, amazing view and quiet! We had a fantastic time as the location is very convenient to the village. The modern condo is spacious, clean, well equipped, and the hot tub was amazing. Excellent accommodations! Accept Pay Pal or cheques. Cancellation Policy: 45 days notice during regular to receive refund and 60 days notice during holiday season.If less than 45/60 days notice and unit can re rented out again then we will happily refund deposit. Check in is 3:00 pm and check out is 11:00.We are happy to accommodate early and late check, please inquire.